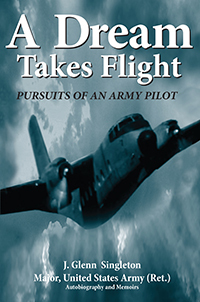 About the Author: Major J. Glenn Singleton entered the Army voluntarily in 1953, where he completed Officer Candidate School, Parachutist School, and acquired his Army Pilot’s Wings. He held aviation staff and command assignments during tours in Vietnam and Germany, and his piloting was often viewed as too risky or simply impossible. Major Singleton was awarded the Bronze Star Medal three times, the Meritorious Service Medal, Air Medals 1st and 2nd Vietnam flight assignments, the Air Force Commendation Medal for operation “RedLeaf,” the Army Commendation Medal, plus the usual campaign and service medals for the period. 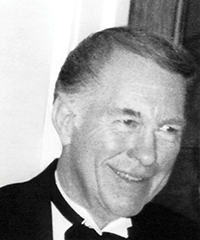 Major Singleton and his wife, Judy, currently reside in Fairhope, Alabama, where he continues his aviation interest, piloting radio-control aircraft as a hobbyist. A Dream Takes Flight is his debut as an author.